This company is a leading manufacturer of food supplements and were one of the first companies to analyse and guarantee the potency of the active ingredients within tablets. They have developed new manufacturing and laboratory methods, producing products free from hydrogenated fats and genetically modified derivatives, as well as guaranteeing product purity and stability. Quest Vitamins use unique timed release technology which provides high levels of nutrients in one tablet that are slowly broken down in the body, releasing nutrients over a 6 hour period. 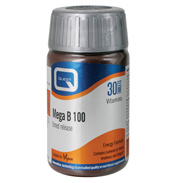 This is particularly useful for vitamins such as B & C which cannot be usefully stored in the body. They provide a variety of antioxidant formulations designed to prevent damage to cells and maintain healthy cellular function, such as Beta Carotene. 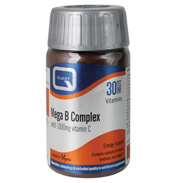 Quest B vitamin formulas provide the full range of B Vitamins including single vitamins such as B6 and folic acid along with b complex formulations. 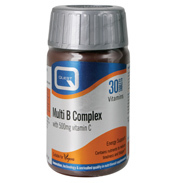 For vitamin C the range not only covers different types but different strengths and their multinutrient range provides a choice of multivitamin and mineral supplements for those with specific needs, all with amino acid chelated minerals. These multinutrients are suitable for pregnant women and breast feeding women and they also offer a vegan formula. Quest body system formulas have been designed to provide important nutrients at sufficient doses to help maintain the health of specific body parts and processes such as for energy or eyes. If there is a Quest product you are interested in which isn’t listed please contact us for further information.